The University of Oregon was established in 1876 as the flagship institution of the state. It is located in Eugene, a vibrant college town, and provides academic distinction and practical learning opportunities. The UO offers over 260 academic programs in a warm and enthusiastic atmosphere. The UO is in Eugene, Oregon. It is a major town that is popular for its contributions in the field of arts. The UO has a relatively higher acceptance rate of 73%. It was 79% in 2010, but the university has increasingly made admission selective. The University of Oregon is spread across 295 acres of area with towering trees. 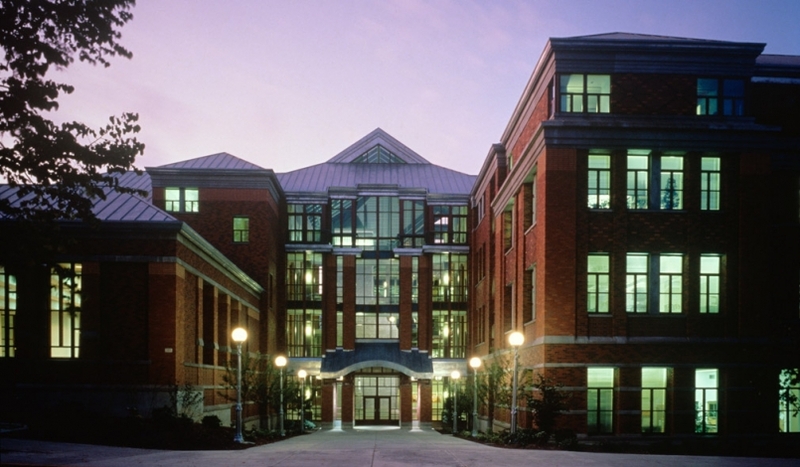 Some of the main features of university include its health service, women’s center, and 24-hour security services. 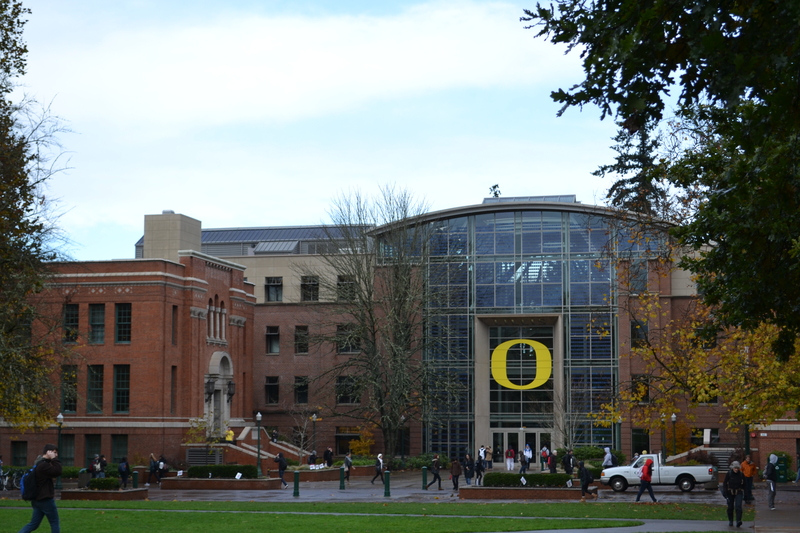 The UO Libraries have different sections for undergraduates, graduates, faculty and the public. The University of Oregon provides high-end on-campus and off-campus housing in a safe and secure environment under the University Housing. The facilities include residence hall rooms and apartments. The University Housing was created to support the UO’s academic mission by providing student housing and residence hall and related services. The University of Oregon has a traditional college-town atmosphere, where students come to seek everything ranging from music to outdoor activities. There are over 250 organizations on campus, and they focus on everything ranging from ecology to acapella. In addition, the university of Oregon athletics offers a large number of sports activities. The university of oregon has a student to faculty ratio of 20 to 1. More than 37% of the classes have less than 20 students. The latest average freshman retention is more than 84%. Best Courses: Business, Commerce, Psychology, Journalism, Political Science and Sociology. When it comes to university of Oregon admissions, more than 45% of its undergraduate students get certain type of need-based financial support. The average scholarship received by such students is around $5,800. The total cost of attendance at the university is around $24,000 for residents and $43,800 for non-residents. This includes university of Oregon tuition and fees, room and board, books and supplies, and other expenses. Most of the scholarships at university of Oregon are offered automatically on the basis of the materials included in the admission application. However, some of the scholarships for the freshman require separate application. Students can take university of Oregon jobs on campus, in certain nonprofit organizations or in government agencies to meet their educational expenses. More than 2,000 students from around 80 countries join the University of Oregon every year. The UO provides a large number of degree programs that have global importance. This includes languages, literature and international studies among others. Education at the University of Oregon takes students beyond classroom academics. Students find themselves learning in different places and doing a multitude of things. You could find yourself mentoring a junior or young, tilling the garden or building something. The University of Oregon offers a world of opportunities for helping others. Here, students and the faculty and staff work together to serve the community. When it comes to sports, the university of Oregon football program is one of the most popular features. However, there are a total of 19 sports programs for men and women. The university of Oregon football teams participate at all levels. All the university of Oregon football schedule and news is provided on the website of the university.